Locked Out of Your Office? Call Rainier! Rainier Locksmith & Car Keys Bellevue is your one place destination for all your commercial locksmith needs in Bellevue. We deliver all types of locksmith solutions for high-security locks, lock changes, re-key options, locked out offices and all the locksmith solutions for your commercial locking needs. We provide our services 24 hours a day, 7 days a week and 365 days a year. We believe in keeping our customers happy and make sure our services are timely, reliable and at the same time affordable to your pocket. Locally owned and operated since 1998, Rainer Locksmith & Car Keys is a licensed, bonded and insured locksmith firm in Bellevue. We provide quality solutions for all your locksmith needs. Our knowledgeable locksmiths can hep you with any lock and key situations in your commercial buildings. Our trained and experienced professionals are always there to help you whenever you need their services. Give us a call on 425-272-9850 and our team will be happy to help yours with their insights. At Rainier Locksmith & Car Keys Bellevue, we understand how important safety is for all of us. We believe in giving you the best so that you can rest peacefully at your home. Our locking solutions for commercial buildings are one of its kinds. We use the finest quality locks that are strongest of its kind – keeping your offices safe from any type of burglary and trespassing. Apart from providing locking solutions, we also are masters of getting those locked out locks unlocked within a few minutes without damaging the locks. While offices are always buzzing with all kinds of people visiting the premises for various purposes, having the main door locked out could mean a big loss to the company, in spite of losing your temper in such situations, just give us a call on 425-272-9850 and we will be there to help you and your staff get into the office just in a few minutes. It’s that easy. We also provide re-key solutions saving you cost of purchasing a new lock; we just re-key your old lock with a new key changing the locking pattern, it’s that simple. Solutions for All Your Commercial Locksmith Problems! Rainier Locksmith & Car Keys Bellevue has earned a reputation of fast and timely services in commercial locksmith needs. We always prioritize the safety of our customers and make sure our employees are trustworthy. All our employees go through a strict security and background check before going on-site. We train all our employees with codes and conduct of a Rainier Locksmith. Our locksmiths are well mannered, customer friendly and are always equipped with the best quality tools and techniques. We use premium quality tools to make sure you get the best quality service. When it comes to securing your business, never settle for basic locks. 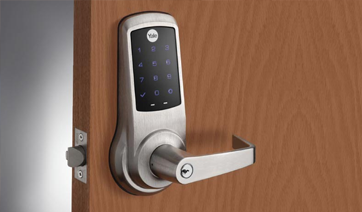 Feel free to give us a call on 425-272-9850 to know about our high security locking solutions and we will help you with our state of art locking systems ensuring that your company and professional interests stay protected. Rainier Locksmith & Car Keys is a name associated with efficient and timely services across Bellevue. We have been serving the people of Bellevue since last 18 years and they have always loved our solutions. We provide solutions for all your locksmith needs be it residential locksmith solutions, commercial locksmith solutions, safe locksmith needs or automotive locking solutions.